The Soliloquy invitation is printed using the digital printing option. 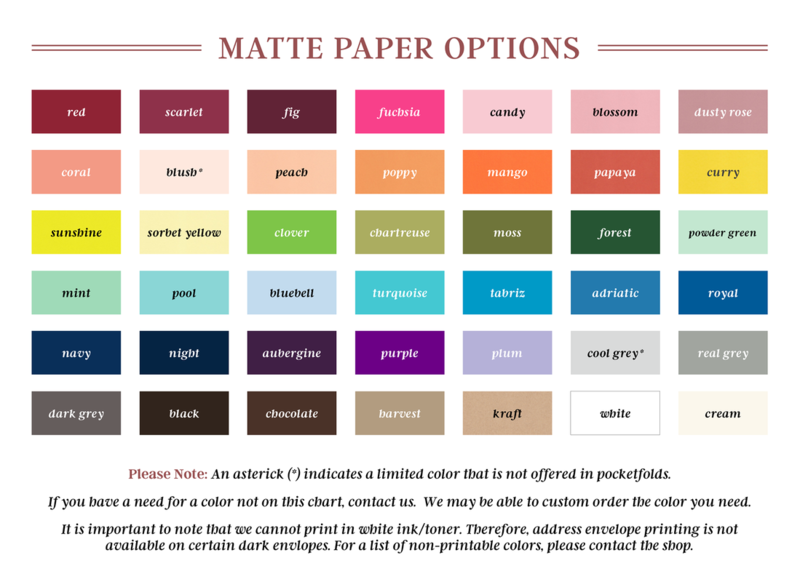 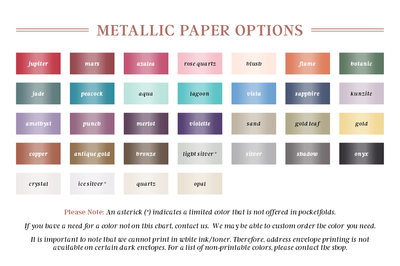 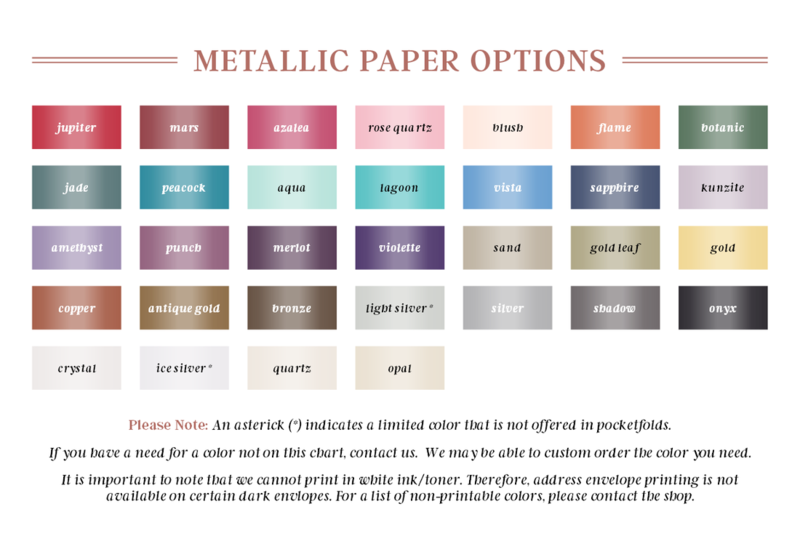 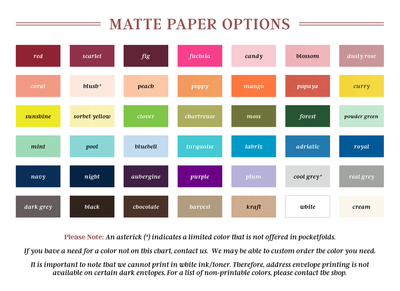 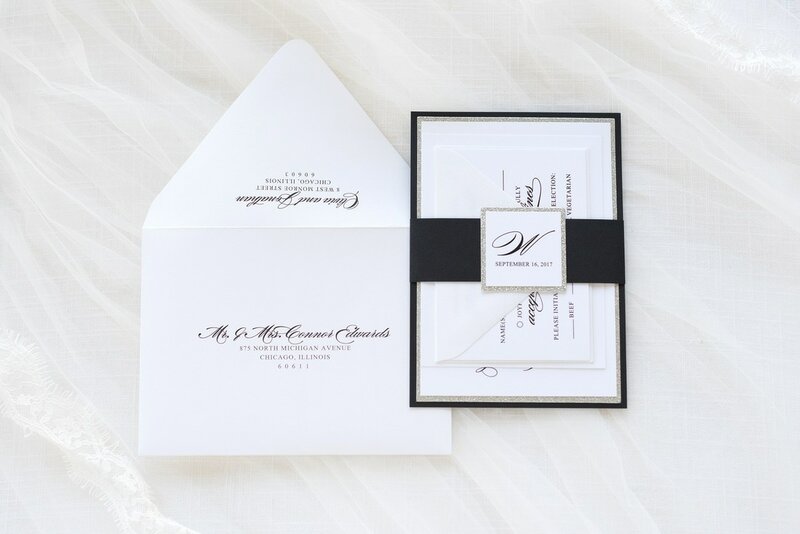 Purchase a sample of this invitation design by clicking the button below and selecting "Soliloquy" from the dropdown box. 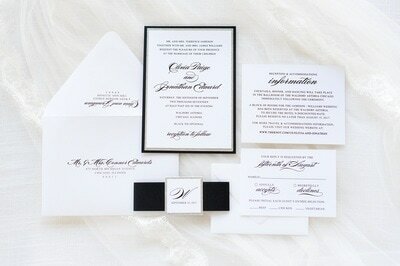 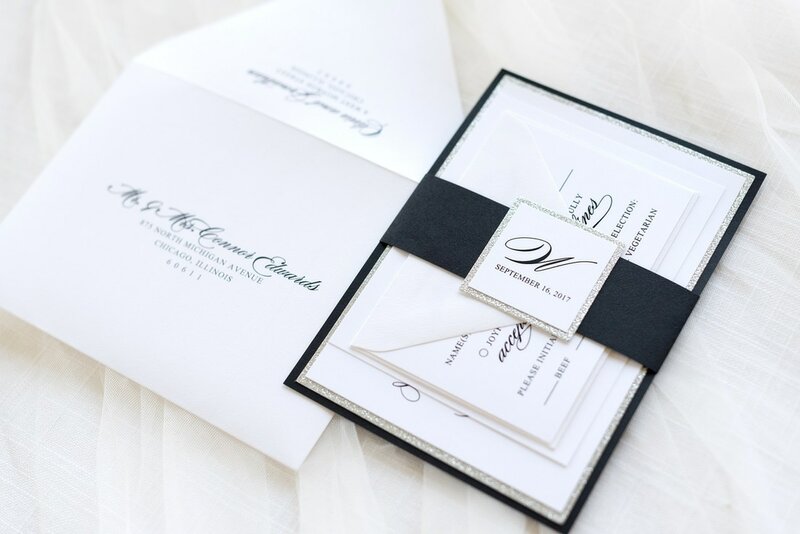 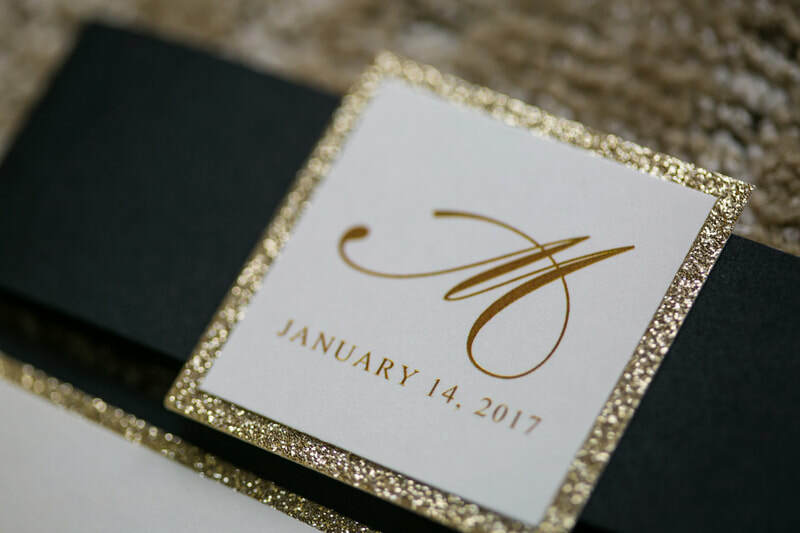 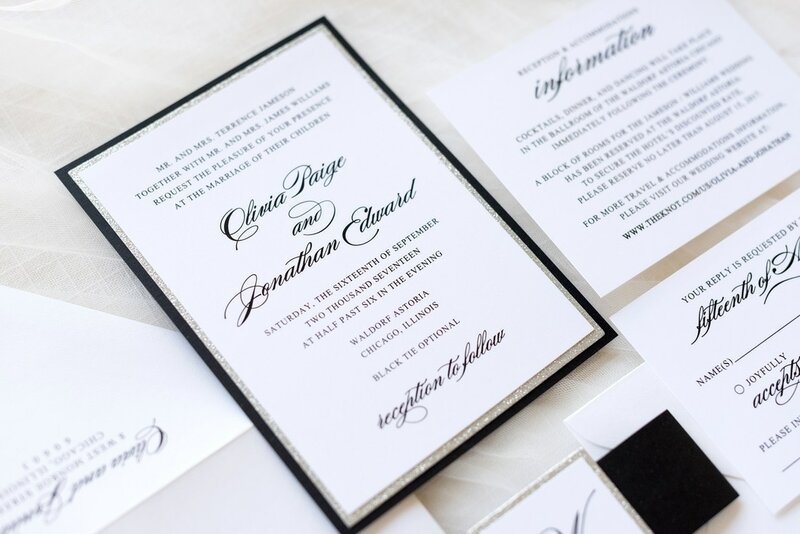 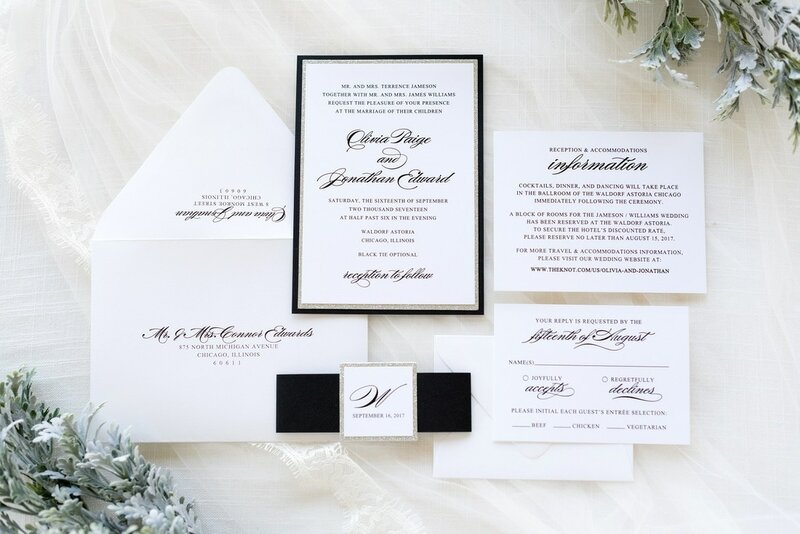 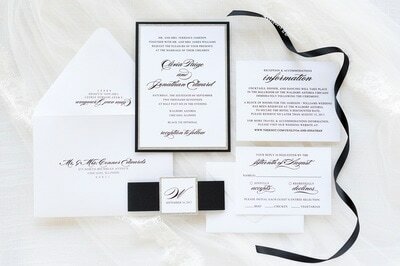 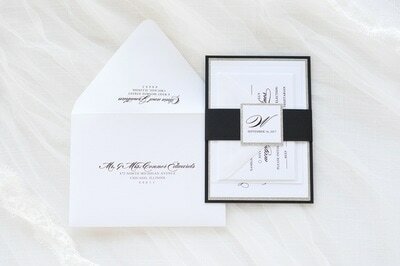 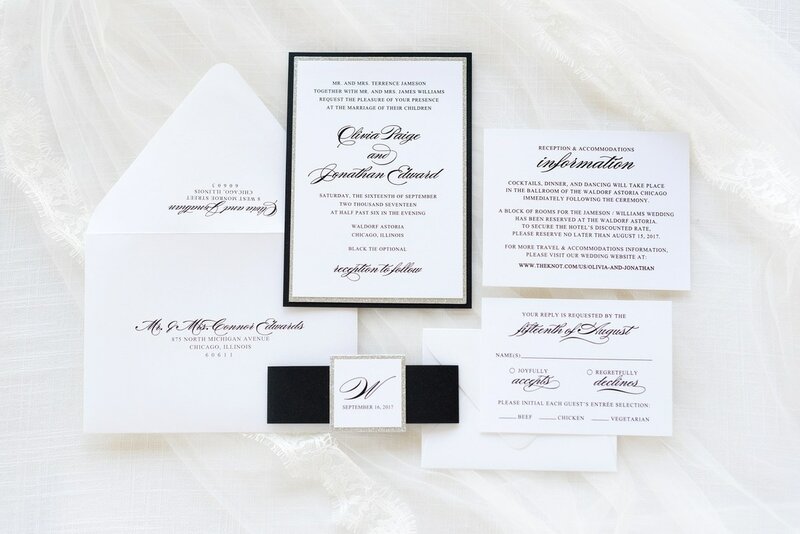 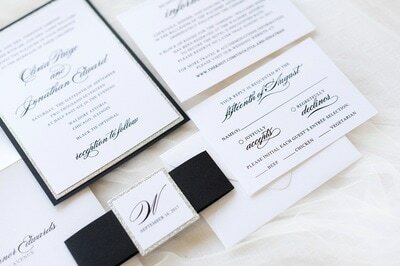 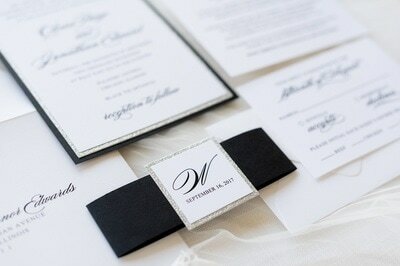 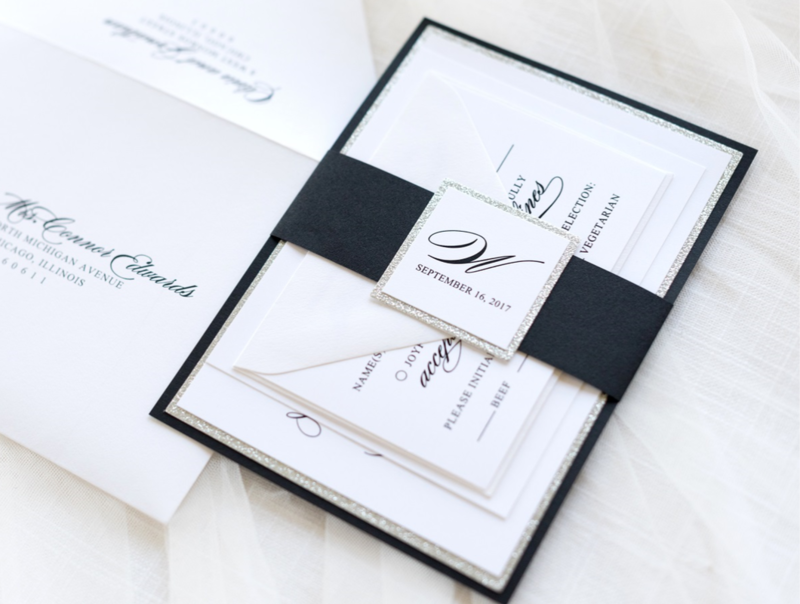 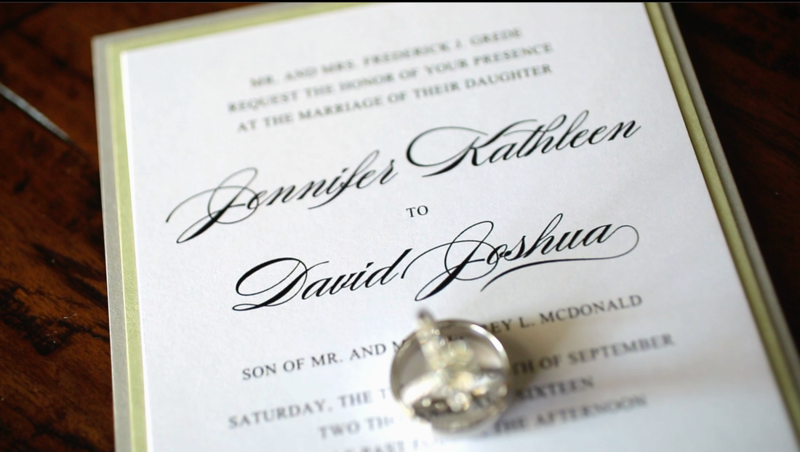 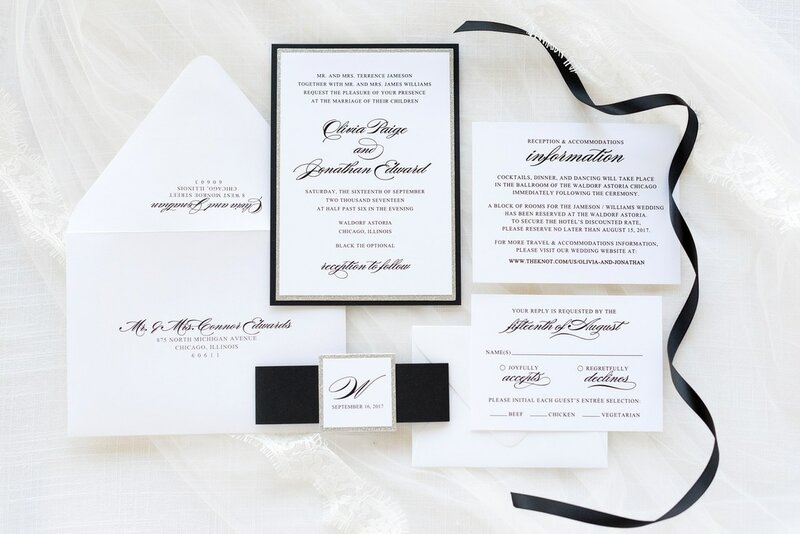 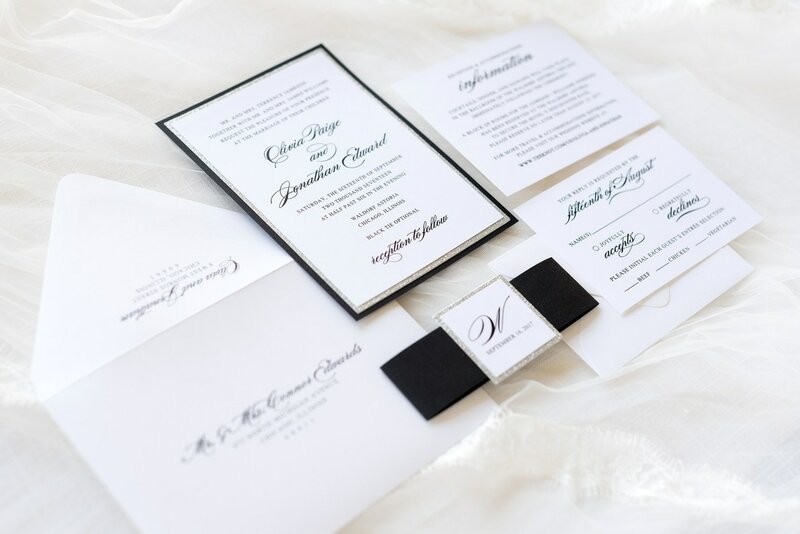 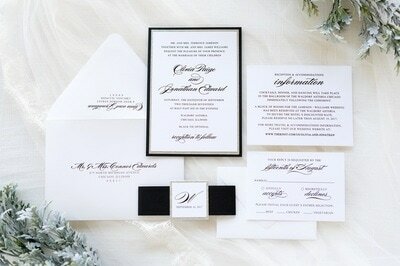 Take a look at how some of our clients customized the Soliloquy design for their wedding.